If you’re looking for one tyre to rule them all, you may have heard of the all-season option. Billed as a mash-up between winter and summer tyres, the all-season tyre is supposed to be the perfect all-rounder, but how do they work? And why are they becoming increasingly popular in the UK? You might not think it, but a lot of thought goes into how to make the perfect tyre. More than 30 different types of rubber, fillers and other ingredients are used in the manufacturing process, and a lot of other elements, including the steel, tread, and other compounds are added during the tyre’s construction. All of these elements are carefully chosen to ensure that each tyre is fit for a specific purpose. For example, if you’re looking for a great off-road tyre, you’ll need something like the Dunlop Sport Maxx RT 2. This tyre is specifically built for superior grip on both wet and dry conditions, with a next-generation tread compound that increases the friction between the tyre and the road surface. This tyre has been tried and tested by engineers, with each material chosen for a reason. According to The British Tyre Manufacturers Association, more than £1 Billion is spent by tyre manufacturers on research and development. Tyres are a complicated business. However, to the everyday driver, there are typically 2 types of tyre. Summer tyres should be used in the summer months and winter tyres should be used in the winter months. Sounds simple, right? Well, those clever tyre manufacturers went one better, creating a tyre that works throughout each season. All-round performance is something that many people crave when they search for the perfect set of tyres. Enter the all-season category. These tyres aim to remove the hassle of switching between summer and winter tyres every year, providing a cost-effective and practical option for those that want it. They’re made with an intermediate rubber compound that provides appropriate grip on dry roads, while not hardening as much in colder weather. This ensures that they offer comparable performance to other types of tyre, albeit in appropriate weather conditions. Purchasing 2 sets of tyres for summer and winter is an expensive endeavour, especially if you’re paying for the fitting costs too. That’s just one of the reasons why all-season tyres are becoming increasingly popular, as they generally provide better winter performance than a summer tyre, and better summer performance than a winter tyre. All in all, they’re the perfect all-rounder. In the UK, all-season tyres are on the rise. This is partly due to favourable weather conditions. Many parts of the UK do not receive large swathes of ice and snow, which makes all-season tyres the perfect choice. We all know that the UK has milder weather than its Mediterranean cousins too, with long periods of rainy spells in spring, autumn and winter. As previously mentioned, all-season tyres provide comparable performance to summer/winter tyres in these situations. You’ve no doubt heard the phrase, “jack of all trades, master of none.” That applies directly to the all-season tyre. While offering adequate performance in the summer and winter, they never quite match up to their specific counterparts in the same conditions. They also don’t suit owners that travel long distances, as it removes the cost-effective benefit that many people look for. There’s also a common misconception. Many people believe that all-season tyres are suitable for snowy conditions. That’s typically not true. A light downfall of snow is no problem, but anything more can be a struggle. Winter tyres are always better if you’re bravely tackling snow and ice. 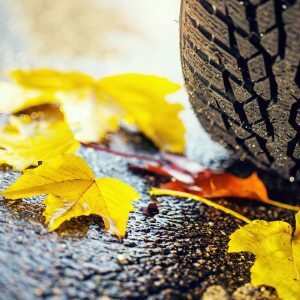 If you’re looking for a fantastic all-season tyre for your car or SUV, we have 2 recommendations from Dunlop that you’re going to love. Choose this tyre for superb control, whatever the weather. It provides balanced performance in all weather conditions, with an optimised tread design for silky smooth cornering. Dunlop also claims that it’ll handle heavy snow too, due to its special polymer compound that provides good grip in summer and winter conditions. Receive all-season traction with this tyre. The SP Sport 7000 uses Multi-Radius Tread Technology, which delivers superb dry handling while maintaining wet traction. It also uses Dunlop’s 5-Pitch Technology, which provides noise reduction for an exceptionally quiet ride. As a result, this tyre provides smooth performance, even at high speeds. There are also plenty of other options available on Asda Tyres, and our team are happy to answer your questions too! Previous	What Are All-Season Tyres? Next	What Are All-Season Tyres?